Definition at line 53 of file shellfs.h. Definition at line 55 of file shellfs.h. Definition at line 72 of file shellfs.h. Definition at line 86 of file shellfs.h. Definition at line 96 of file shellfs.h. Definition at line 524 of file shellfs.cpp. Definition at line 31 of file shellfs.cpp. 75 if (path==':' && path=='\\' && !path) // Is it a drive path? 100 if (!do_access || ! (attribs&SFGAO_FILESYSTEM)) // Archiv files should not be displayed as folders in explorer view. Definition at line 495 of file shellfs.cpp. Definition at line 482 of file shellfs.cpp. Definition at line 155 of file shellfs.cpp. Definition at line 247 of file shellfs.cpp. 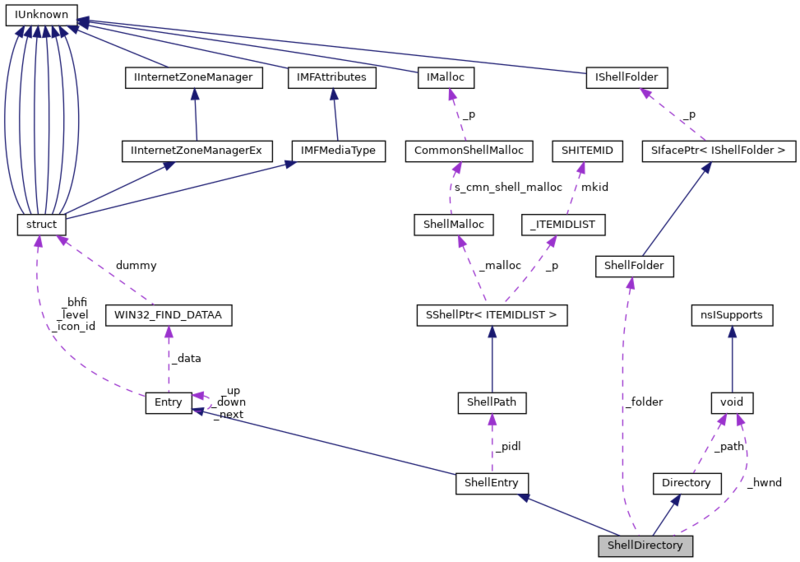 Definition at line 253 of file shellfs.cpp. 284 // ignore directory entries "." and ".."
318 entry->_scanned = true; // There exist named NTFS sub-streams in this file. 352 entry->_icon_id = entry->safe_extract_icon(); // Assume small icon, we can extract the large icon later on demand. 378 /* don't break yet now: Registry Explorer Plugin returns E_FAIL! 398 // avoid accessing floppy drives when browsing "My Computer"
461 entry->_icon_id = entry->safe_extract_icon(); // Assume small icon, we can extract the large icon later on demand. Definition at line 112 of file shellfs.h. 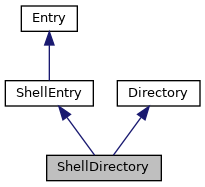 Referenced by fill_w32fdata_shell(), get_path(), get_shell_folder(), read_directory(), and ShellDirectory(). Definition at line 113 of file shellfs.h.